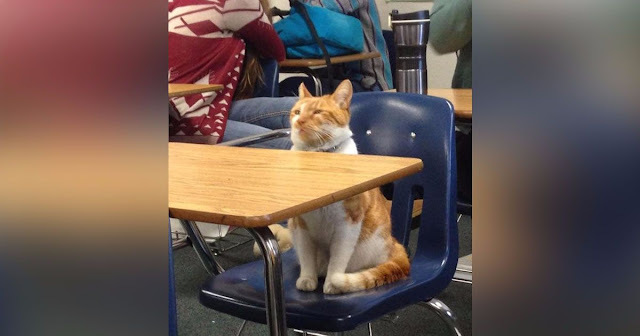 These cats really think they are in charge! Home / Unlabelled / These cats really think they are in charge! The following cats think they are in charge and exhibit such impudence! You'll need to see it to believe it. 2. 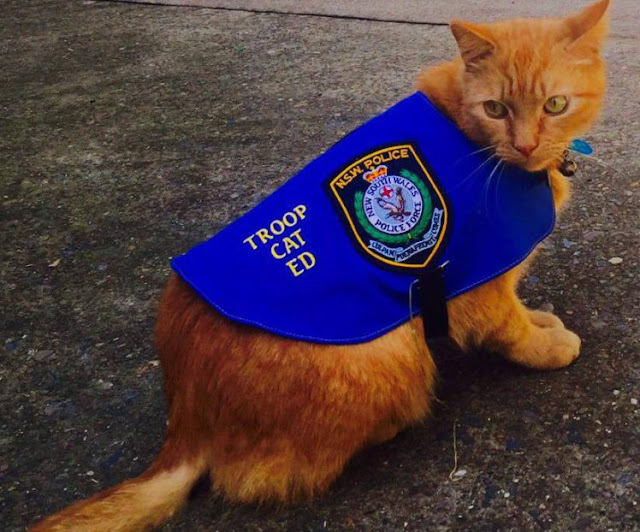 The cat who showed the intruder who's boss. Oreo is not your normal cat. Sure, she enjoys being petted and scratched, but does so much more than lie around and demand attention. She is a therapist of sorts, bringing joy and a sense of home to the residents of the nursing home where she lives, in Cleveland, Ohio. Residents say she has taken the place of pets they had to leave behind when they moved into the facility, and they’re happy to have her. Check out these pictures and video to see what we mean. Oreo likes to show the residents who's really in charge. As the video below shows, it’s not only the residents who are glad Oreo is there. 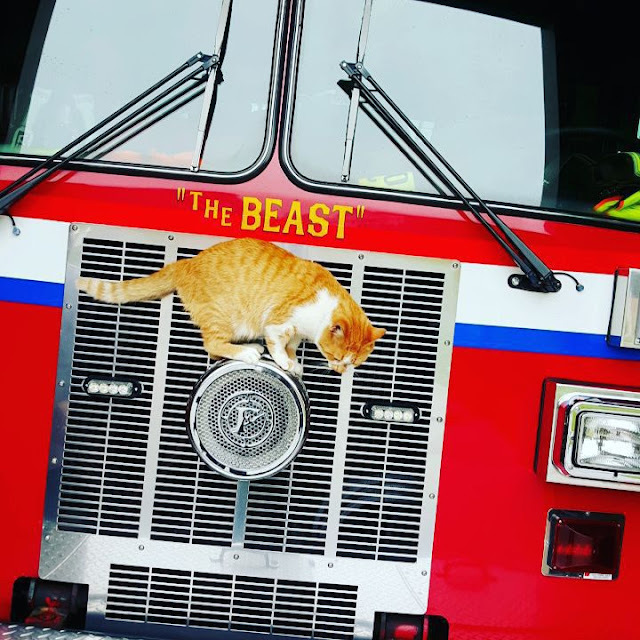 Flame, a ginger-and-white cat who walked into a firehouse one day and decided that this would be his new home. The Belmont Fire Department in Greenville, South Carolina, wasn't looking for a new resident, but he showed up regardless. Flame was starving when he wandered into the firehouse. He marched into the kitchen and raided all the cabinets for something to eat. Some of the firemen offered Flame some leftover fried chicken in the refrigerator, and he scarfed it down right away. From that point on, Flame became an official part of the Belmont Fire Department family. Flame spends his days prowling the firehouse, watching out for his beloved firefighters, and, of course, eating. He loves to engage with the firemen and firewomen by "helping" them with chores around the department, as well as giving them a mode of stress relief after a hard day of putting out fires. 5. The cat who thinks everything around house belongs to her. 6. The cat who disobeys an order to leave. 7. The cat who can't be kept from his favorite toy.